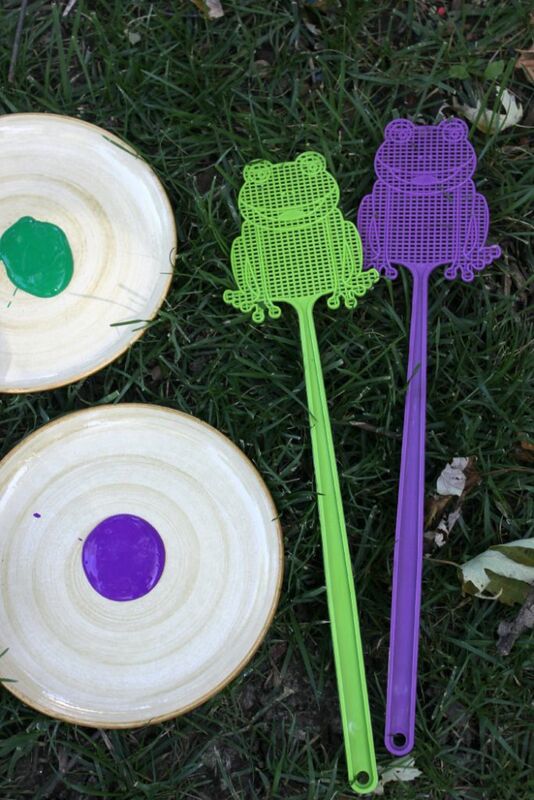 We had a mess of a good time with a fun kids activity that we call Flyswatter Painting! 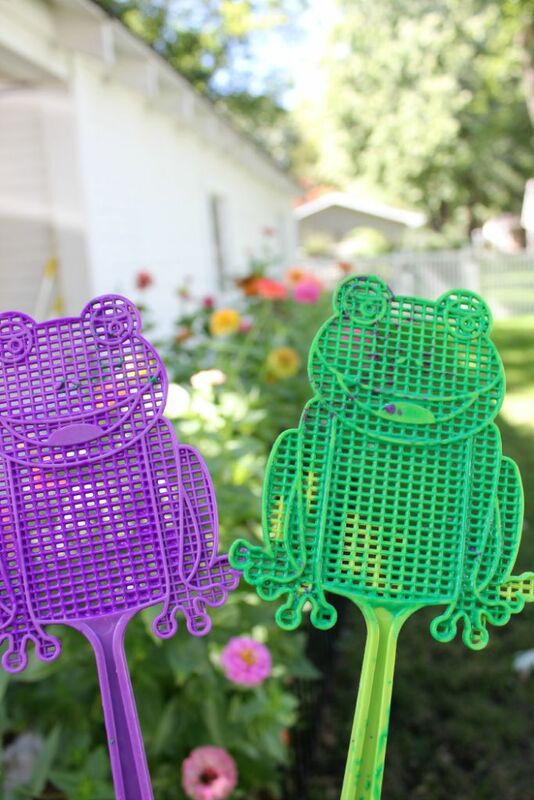 I found these super cute frog shaped flyswatters that I found a while back. For the life of me I can’t remember where I picked them up at but I did a search on Amazon and found some cute ones shaped like a hand and another cute one that is shaped like a leaf (this on comes with a handy scooper….tee hee). The leaf shaped one would work very well since fall is right around the corner. I would highly suggest doing this one outside or have a really huge drop cloth if you need to be indoors as it can really get messy!! 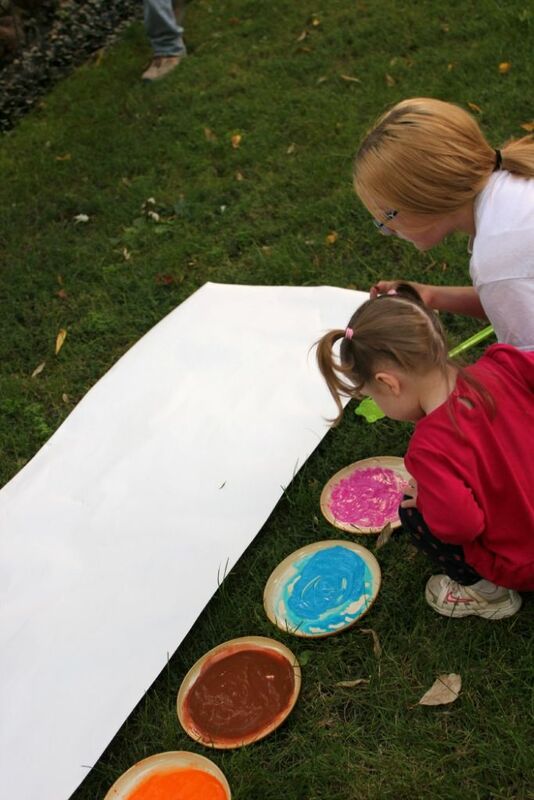 Just make sure you use washable kids paint and you should be OK. 😉 To begin this fun kids activity you will want to set up a place outside in the yard (or if you are brave inside on a tarp). Grab a few paint colors and some plates to put them in. I did find by the time we finished painting that the paint went farther and splattered better when we added a few tablespoons of water to it. 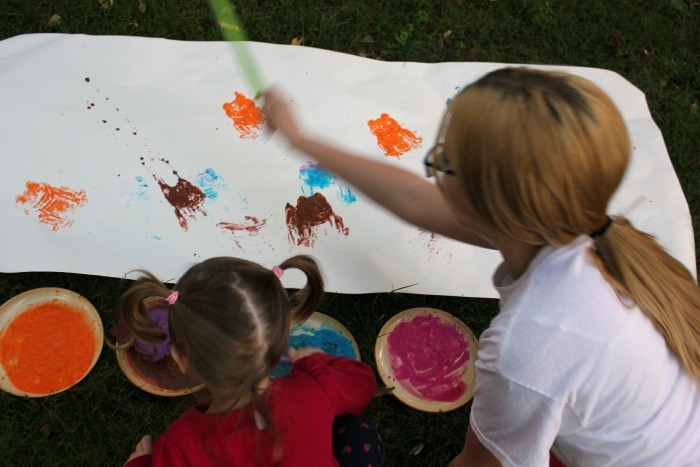 The girls had a great time together with the flyswatter painting activity that they wanted to do it again and again. Even Mom and Dad had fun! Here they are getting ready to make their 3rd flyswatter painting!! 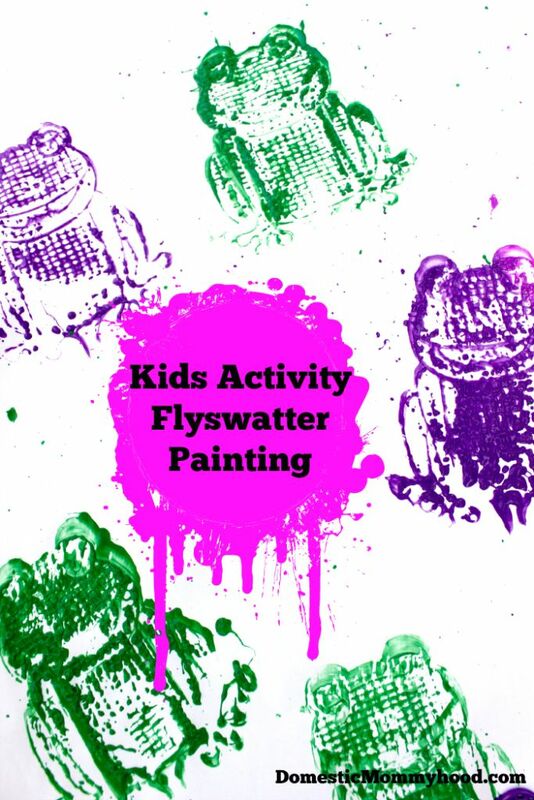 Did your kids having fun doing the flyswatter painting?? Those are the cutest fly swatters I’ve ever seen! Fun! I can’t for the life of me remember where I found them. I am thinking it was the Dollar Tree. I fell in love with them! !